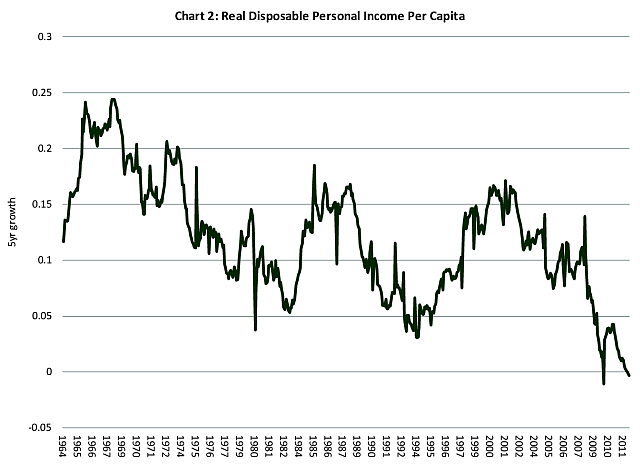 This chart plots the 5-year growth rate of real personal disposable income per capita in the United States from 1974. This entry was posted on Wednesday, April 11th, 2012 at 6:36 AM and is filed under Interesting Charts. You can follow any responses to this entry through the RSS 2.0 feed. Both comments and pings are currently closed.